Christmas is getting so close now I can almost taste it in the air! To be honest, I’m not particularly excited about the actual day (I’m not religious so the day doesn’t mean much to me) but I AM excited about the three full weeks of holidays I will have over the Christmas/New Year break when our office closes. I haven’t had holidays since Christmas last year, so I’m really hanging out for some down time. Since we don’t have my partner’s daughter here until January, I decided that I wasn’t going to go to all the effort of putting our large Christmas tree up. So last night, I gathered some enthusiasm and decorated my ’emo’ tree, which of course is black with silver decorations. It’s only a two foot tree, so it’s sitting on my dining table. Very simple, but very us this year. My fallout wrap is coming along very nicely! I’m so pleased with it, and it is still a joy to work on. I’ve discovered that while I have trouble crocheting on the bus, I can in fact knit to my heart’s content and not feel the urge to vomit into the hair of the poor person sitting in front of me. Now that the rows are getting quite long I can only manage two rows on the way into work (express bus) and three on the way home. 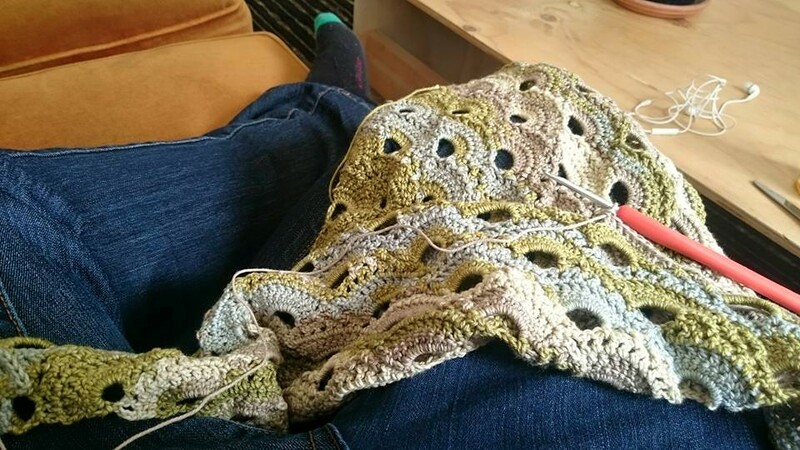 I’ve got some lovely yarn on its way to me from the states, so I’m trying to get this wrap finished as soon as possible so I can start something new and exciting. I also can’t wait to wear it as it’s so soft and light. Wow, I can’t believe it has been over a month since I last posted on Savage Ted! Uni has been a bit full on, and if I don’t force myself to take half an hour every now and then to crochet and have some me time, I get too wrapped up in the ‘OH MY GOD THAT $*@#$! ASSIGNMENT IS DUE TOMORROW PANIC PANIC PANIC’ vibe and I end up doing nothing else but work, study and sleep. Doesn’t help that my sister and I almost halfway through a 21 day no sugar challenge. To say that it has been a frustrating month is a complete and utter understatement. If you wanted some light entertainment, my sister and I post (almost) daily on our little 21 day challenge blog to keep us motivated. You can laugh at me as I describe how much I want to murder people because of crazy sugar cravings. My partner is now keeping an up-to-date ‘fear of death’ statistic table on our fridge, and those numbers are climbing! (Doesn’t help that he can eat sugar and I can’t, and will quite happily eat a chocolate muffin AND NOT EVEN LET ME SMELL IT). Anyway, our blog can be found at here. As I said, unfortunately not much in the way of crochet over the last couple of weeks. And when I actually do get the hooks out, I’m just continuing to work on a few older WIPs, like my virus shawl (my project that stays at work so I can crochet during any lunches I have free), and a few little odds and ends to get ready for Christmas etc. I’ve also decided that I’m going to enter my Sophie’s Universe into the Royal Hobart Show in October. I’m actually pretty excited about it, and looking forward to it doing more than just lying on my study chair at home. Unfortunately my posts have been few and far between over the last few weeks, due to my life being crammed with things to organise and do. All of this has NOT stopped me from crocheting however, and I’ve finally finished a project started just after Christmas. 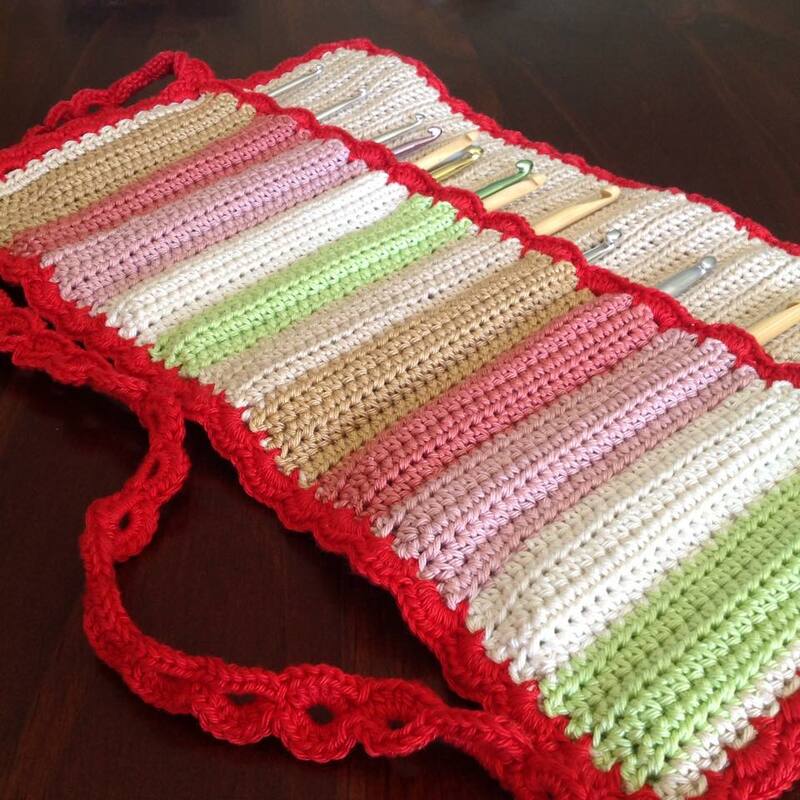 So, introducing my new crochet hook holder! Double lined, double edged, colourful craziness made out of 4ply cotton with a 3.25mm hook. What do you think? 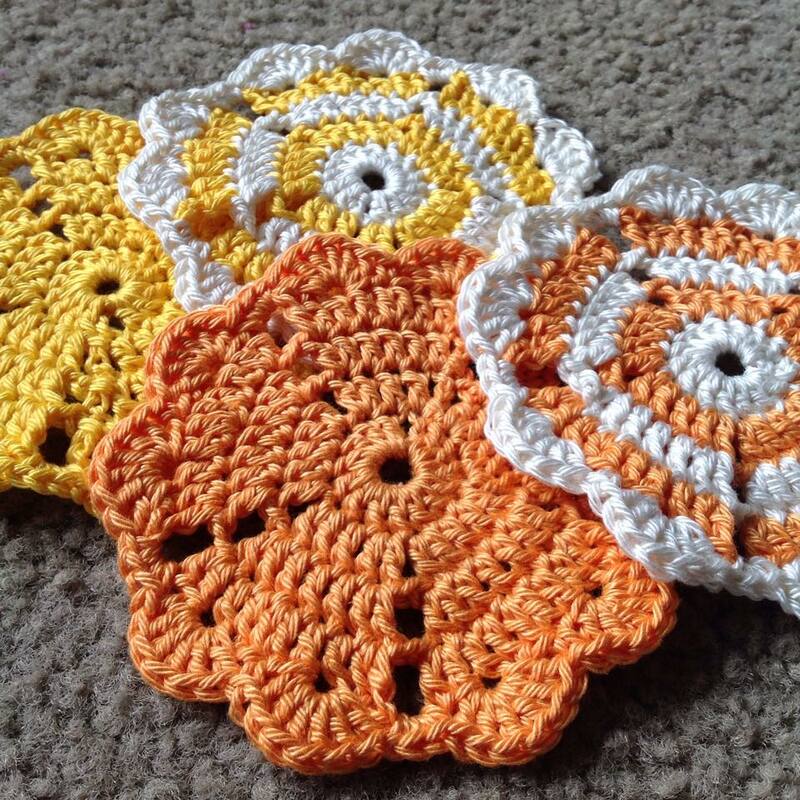 After weeks of constantly creating little round crocheted items of various sizes, colours and patterns, Christmas is over and the war on coasters is finally won. I can’t say that I’m too sad about that either! I have a few little projects that I finished over the festive period that I can’t wait to show you, but the photos will have to wait until the presents have been posted and received so I don’t ruin the surprise. I can, however, show you the very last coasters made before Christmas, which were given to my father. They remind me of sorbet and I want to lick them! 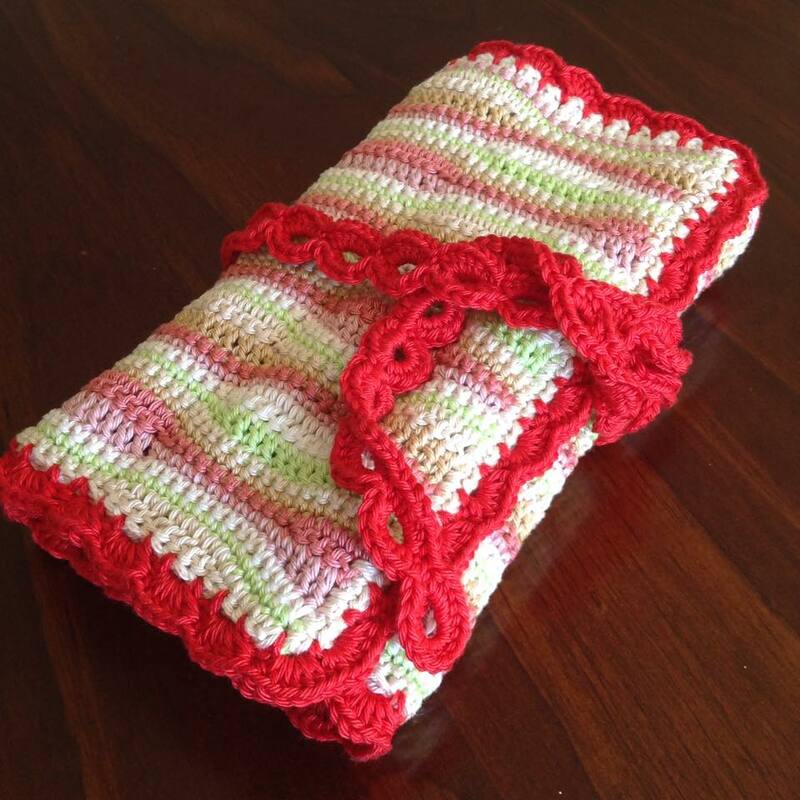 These were crocheted in 4 ply cotton with a 3.25mm hook. 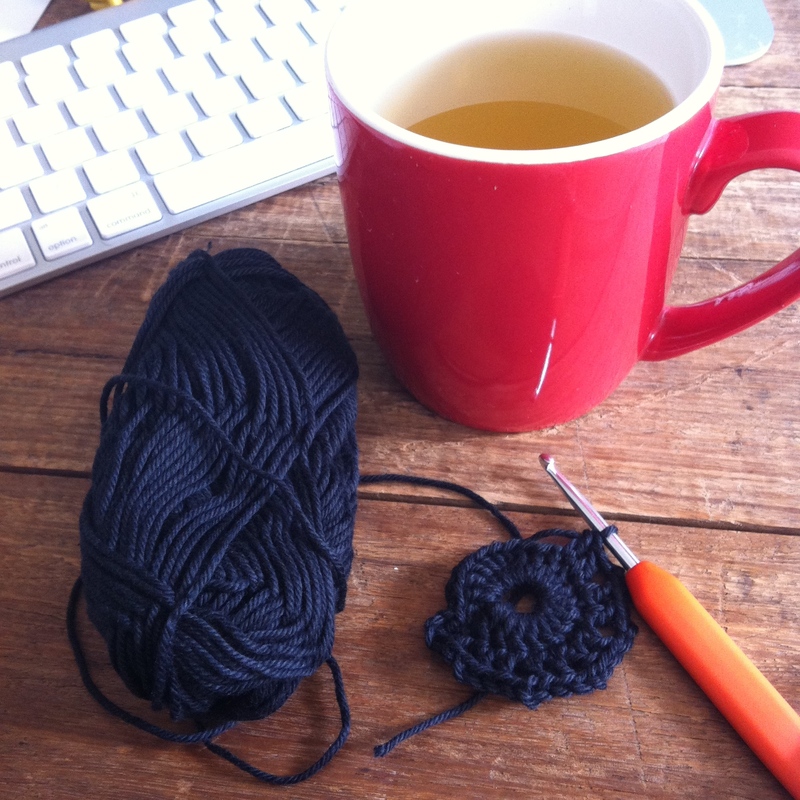 I swear, after Christmas I may never crochet another coaster again. 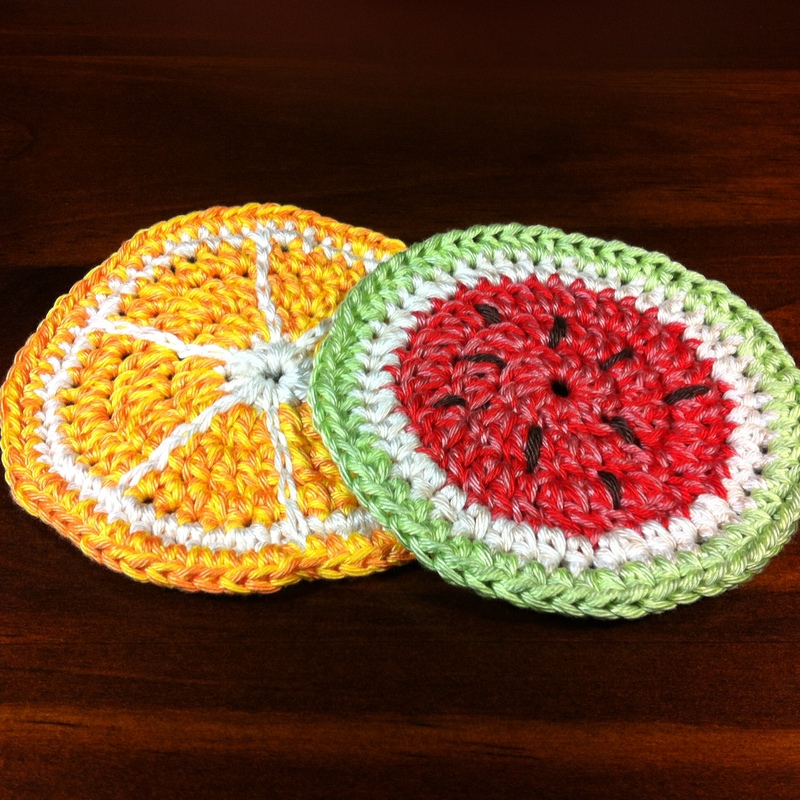 Last night I finished off my ‘orange’ coaster, and I think it looks quite cute with the watermelon one. I will also do a lemon coaster when I get the time, and my sister suggested a kiwifruit coaster could be a success. That will make it a set of four, and I’m happy with that! I also tried a new coaster pattern last night, which is made up of little heart shapes around the outside of the coaster. 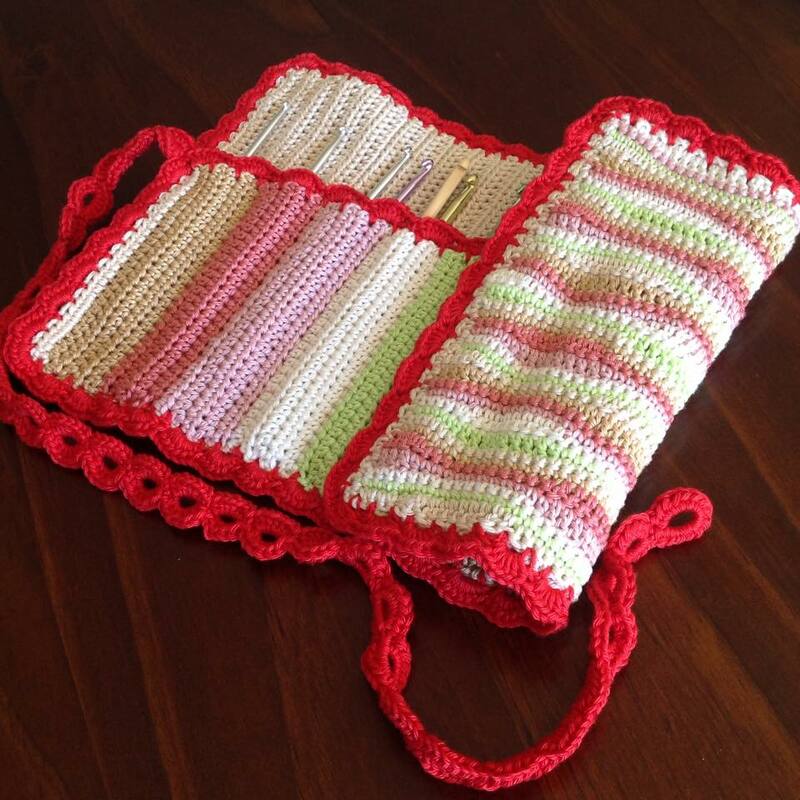 I think it’s cute, but slightly too large when worked with double crochets. 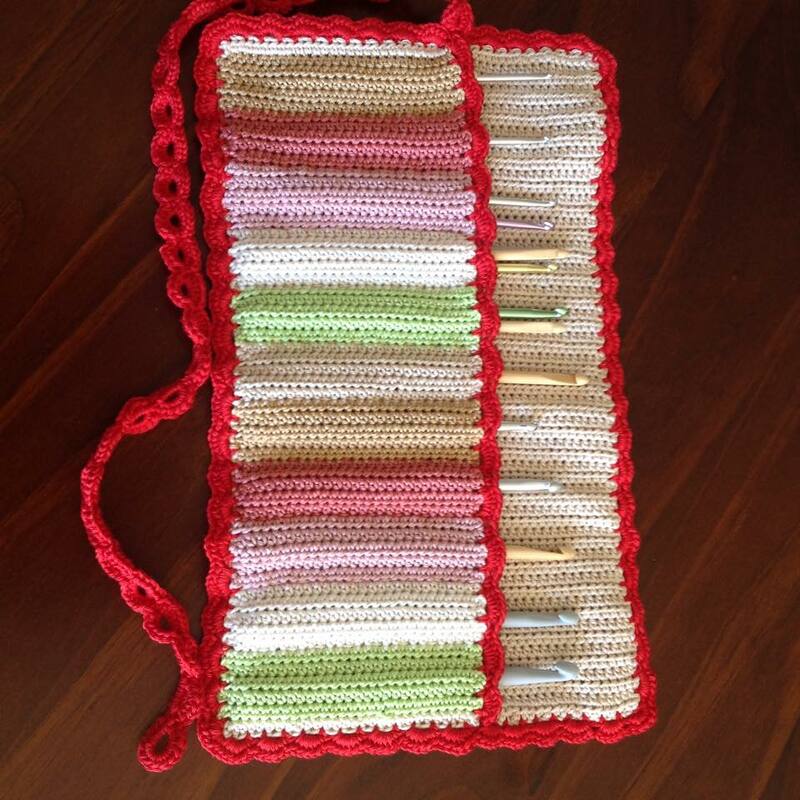 I will try using half double crochets and see how badly that alters the heart shape. I like the pattern though, and it’s nice and fast to work up. 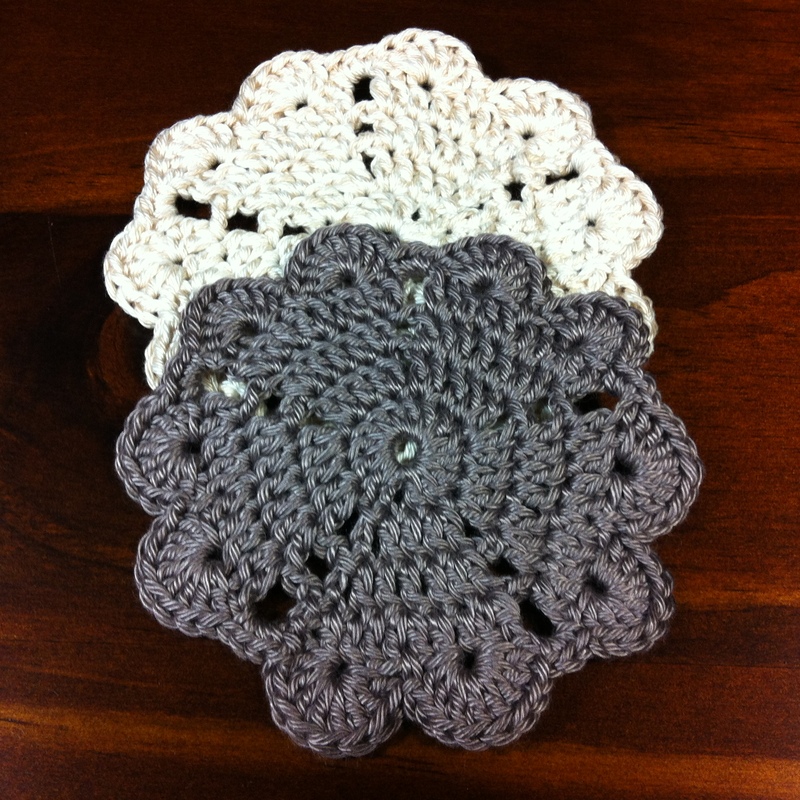 I’ve been in crochet coaster mode over the weekend, and have found a very cool pot holder pattern that I thought could be turned into a cute little coaster. 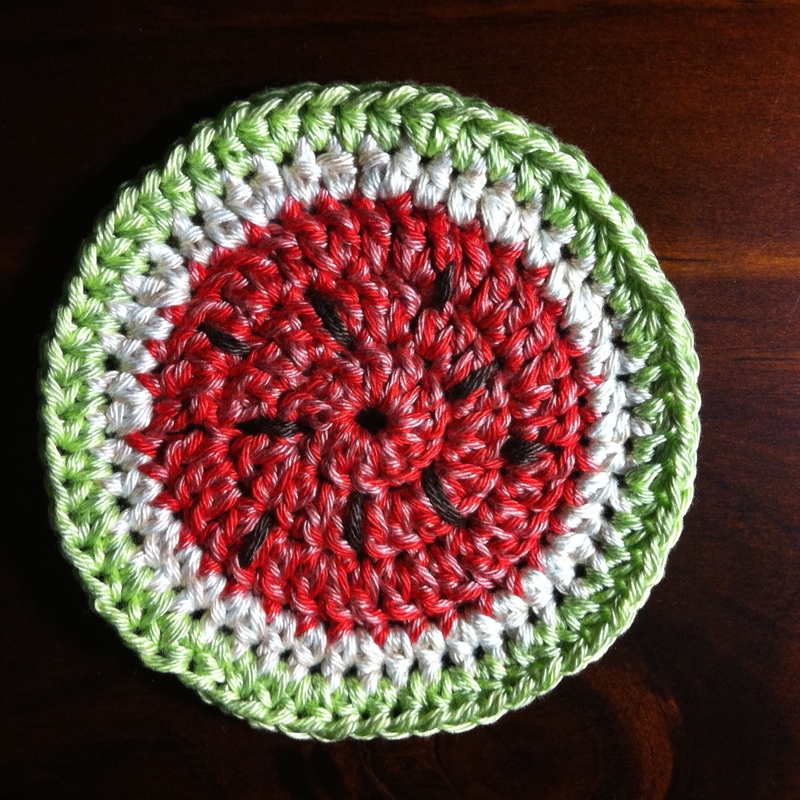 Introducing the watermelon coaster! I had to frog it a couple of times and reduce the number of rows to keep it within coaster dimensions. I also think that the next one should have a single crochet row of green ‘skin’ instead of half double crochet, as it looks a bit thick on this one. But other than that I think it came together quite nicely. 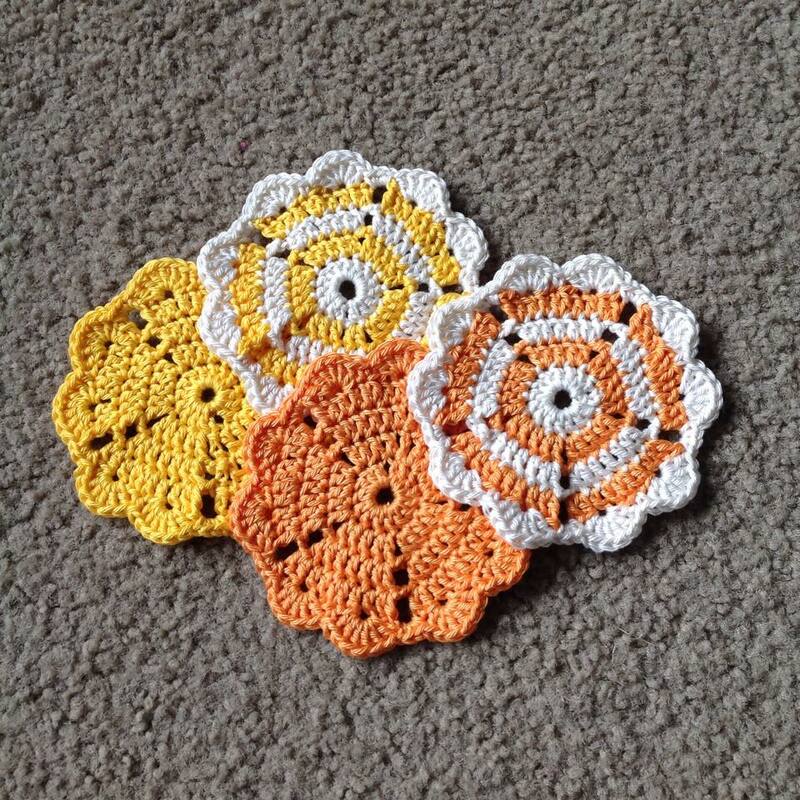 I am working on an ‘orange’ coaster at the moment, and there will also be a lemon coaster in the set. I will need to think of another fruit with a colourful centre to complete the set! I used 100% cotton for this – 2 x strands of 4 ply yarn, with a 4mm hook to keep it nice and tight.